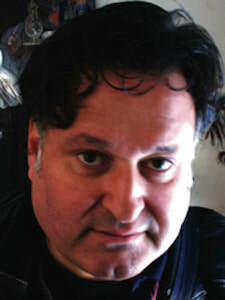 Orazio Iannetta was born in Cassino (Italy). He started painting when he was a little boy; He studied at the state Art high school and subsequently at the Academy of Fine Art, where he received a degree in 1989. He did teach in high schools, then for 15 years he worked as fashion designer for brands such as Dolce e Gabbana, Cavalli, Versace, Extè, Ferrè, Romeo Gigli, etc. Currently he works in his art studio located in a small village called Belmonte Castle. 2018: “The nature of Narcissus”, Pentacromo gallery, Cassino (Italy). “Art Ventis,” San Vittore del Lazio (Italy). 2017: “Contemporary Art Review”, Mentana gallery, Florence, (Italy). “Consonant Souls”, Pentacromo gallery, Cassino (Italy). 2016: “Comparing Generations”, Rome (Italy). His biography and his works has been printed on a edition titled “Art Paths in Italy”. “In Rebus Iucundis”, Pentacromo gallery, Cassino (Italy). 2015: “Revolutionaries Events Of 1799”, city hall gallery, Avellino (Italy). “Archipelagos”, city hall gallery, Cassino (Italy). 2014: “Satura Award”, Satura gallery, Genoa (Italy). He drawn down a side of a celebratory medal for the 70th anniversary of second world war events. Coined by the Italian State. One of this gold medal was given to the Prince Harry. 2013: “The thougth, the dream, the image”, Casapozzano Castle, Orta di Atella (Italy). 2012: “Ars Ora Et Labora III”, Sovereign Military Embassy of the Order S.T. John’s, Malta Island. 2011: “Ars Ora Et Labora II”, Italian Cultural Institute, London (GB). Itinerant exhibition “The Kidnapping of Europe”, Maschio Angioino Castle Naples, Tower of Umbertide, Capitain’s Palace Ascoli Piceno (Italy). 2010: “Ars Ora et Labora”, Montecassino Abbey, (Italy). He realized together the Pentacromo artists, a pict-sculputure common work, that they gifted to His Holiness Pope Benedict XVI. 2008: “In the colors of the light”, city hall gallery, Frosinone (Italy). “Four night of a full moon” city hall gallery, Benevento (Italy). 2007: “Vtarte”, contemporary fair art, Viterbo (Italy). 2006: Award “Our City”, Archeological Museum, Cassino (Italy). 2005: “A work for Francis”, Franciscan Museum of contemporary art, Ancona (Italy). 2004: Exhibition city hall gallery, Avezzano (Italy). 2002: “Operation against the war”, exhibition of mail art, Aquila (Italy). 2001: “Pueri et Magistri”, city hall gallery, Pescara (Italy). 2000: IV editions of “Contemporary searches”, Pescara (Italy). 1999: “Art Fair”, Frosinone (Italy). 1998: XXV Award city of Sulmona (Italy). “Review of contemporary art” Cascella Museum, Pescara (Italy). Exhibition of sacred art “Isaia 53”, Macerata (Italy). Award “Roveto Valley”, Aquila (Italy). 1997: “Epiphanic Graphics”, Rainbow gallery, Cassino (Italy). 1996: “Art Expo”, Bari (Italy). “Review of art city of Casalpusterlengo”, Lodi (Italy). 1995: “Etruriarte VI”, Livorno (Italy). Review of art “Creating the sign”, Frosinone (Italy).